Giving more meaningful holiday gifts can make the Christmas season truly satisfying; it just takes a little effort and a new perspective. With Christmas fast approaching, it’s easy to get caught up in the hustle and bustle of the holiday season. Last minute sales and the search for the perfect gifts for everyone on our list compete with the desire to be less materialistic, not only to save money and resources but also to remember why we celebrate this time of year. Giving more meaningful holiday gifts can accomplish both of these goals. We can show our friends and family how much we care with fewer, more thoughtful gifts instead of overloading them with expensive trinkets that take up valuable space only to be forgotten in a few weeks. Mindful gift-giving can also be a spiritual act, more in tune with being the change we want to see in the world. Here are some tried-and-true ways to put a deeper sparkle back in the season. Christmas morning is for kids, but too many gifts can be problematic in its own way. Photo by Thandy Yung on Unsplash. 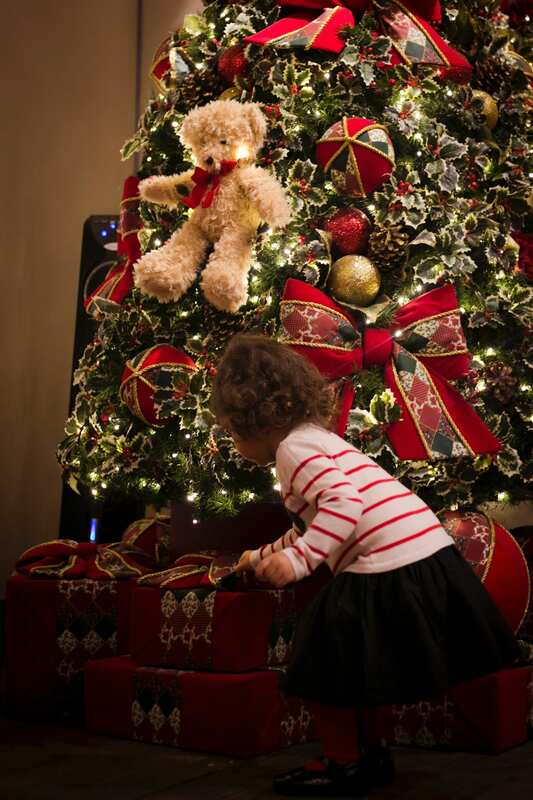 Gifting, often, is for the children, and who doesn’t love seeing a kid contemplate a huge pile of gifts under the tree? That’s part of what makes childhood magical. However, too many gifts can easily overwhelm a child, leaving them more stressed out than satisfied. That’s the inspiration behind this blogger’s quest for a better gifting system. Giving more meaningful holiday gifts might mean limiting the haul to four: “something they want, something they need, something to wear, and something to read.” With each gift mindfully chosen, each one means more. Anticipation can make the holiday sweeter, too. That’s one reason behind the celebration of Advent, the four Sundays leading up to Christmas Day. Advent calendars are often interactive, with little doors that open to reveal small treats for children. However, the concept of Advent can also be turned towards giving more meaningful holiday gifts to others, like filling a box with a shelf stable pantry item each day and donating it at the end. The charitable impulse peaks seasonally between Thanksgiving and Christmas, as we are reminded to give to those less fortunate. How often, though, are our gifts to charity more useful to us than they are to the recipients? One of the more questionable giving opportunities this time of year is the “Operation Christmas Child” or “Samaritan’s Purse” project. It seems like a good idea on the surface: shoe boxes that you can fill with dollar store trinkets and send off to anonymous third world youngsters to show them God’s love. Unfortunately, the gifts aren’t always as appropriate for the recipient as they felt for the giver. There are multiple stories of children who didn’t have any idea what to make of American toys (perhaps because toys aren’t as big a part of other cultures as they are here) and of parents who remove some items from the boxes, like toothbrushes, because they’re not things that the parents can provide again after that one wears out. Giving more meaningful holiday gifts means understanding what the recipients want and need, not necessarily what makes you feel holy to give. Finally, perhaps ending the War on Christmas – the REAL war, not the Evangelical paranoia-mongering version – might take more effort than maxing out the credit card on electronics and overly cheap clothes and calling it a day. Giving more meaningful holiday gifts, especially if those gifts result in a kinder world with more dignity and less pollution (physical or spiritual), could go a long way towards rebuilding social connections that benefit us all. And if that’s not the Christmas spirit, I don’t know what is.